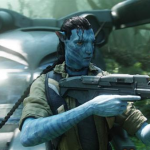 A Convenient Exoconscious Truth: Are You Blue? ETs and Government. A Convenient Exoconscious Truth. Are you aware of your ability to create patterns from your nonlinear perceptions? 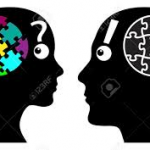 All of a sudden you perceive something, and then you realize that you’ve been experiencing an emerging pattern develop; you just didn’t recognize it until you fit that odd piece into the puzzle. Nonlinear perceptions are not how we’re taught to think. We are taught A to B to C—a chain of facts arranged in a logical order. Thoughts as military march. Instead, nonlinear perception comes from various levels of mind—dreams, visions, body, emotions and fields of consciousness. It could be information that comes via a video you happen to watch, a blog a friend sends, or a FB post. Thoughts as creative craft. These nonlinear perceptions are often quite accurate. However we may not be consciously aware of our creating because the pattern and knowing take time to emerge and form. Nonlinear insights are multi-dimensional, quilted together from past thoughts, present experience, intuition and future vision. All of a sudden you know something. 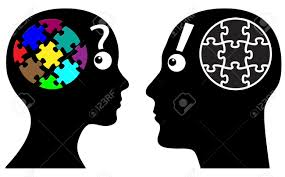 You realize that you’ve been discussing various aspects of the non-linear perception with yourself or a friend. Molding it in your mind as it takes shape. Earlier this week I had a strange nonlinear experience. I took the ferry across the Potomac and drove to Middleburg, Virginia to eat lunch at the Red Fox Inn. It was built in 1728 between Alexandria and Winchester, Virginia on what is called John Mosby Highway (Jeb Stuart, Mounted Rangers, and Civil War Spies). The Inn’s fieldstone walls hold echoes of the Revolutionary and Civil War and our modern era. 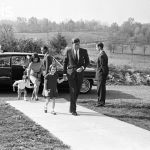 Those walls heard the conversations of Jackie with JFK, of Pamela Harriman with Averill, Elizabeth Taylor with Senator John Warren and legions of local residents and dining DC insiders. After leaving the Inn I drove to Upperville with its vistas of thoroughbred horse breeding farms. In the distance a tree line abruptly ends and Mount Weather is exposed. It is an underground military-government installation. Mount Weather started out as a weather station in late 1800s and became a secret underground military facility in 1959. However, the existence of Mount Weather’s underground secret wasn’t revealed until 1971 when a Boeing 272 crashed into the mountain. 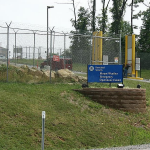 Today, Mount Weather is the base for Homeland Security and FEMA, housing numerous federal agencies as well as maintaining the list of people who can enter and be housed during a national disaster. While this facility was created with your tax dollars, you need not line up at the gate during the apocalypse. Your name is not on the list. Actually spouses and children are not on the list, including the President’s family. Driving back to the Potomac ferry down a narrow 2 lane road and several checks later on my navigation system, I heard the thump of a helicopter. 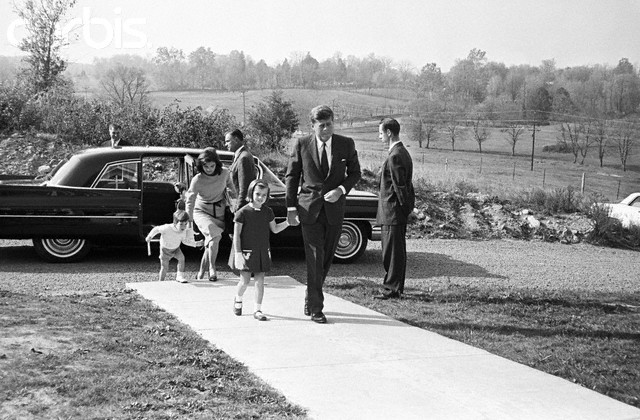 I’m no aviation expert, but it looked like an Air Force One Presidential type of helicopter. As it danced around the mountain and out of my view I suddenly realized I was driving straight through the Mount Weather installation. At 4 am the next morning, I woke with two words in my mind: weather and Bluemont. First I pulled the quilt patch of Bluemont. Funny, it’s the town closest to Mount Weather. Blue Mountain. Nestled in Snicker’s Gap—but even that didn’t make me laugh. 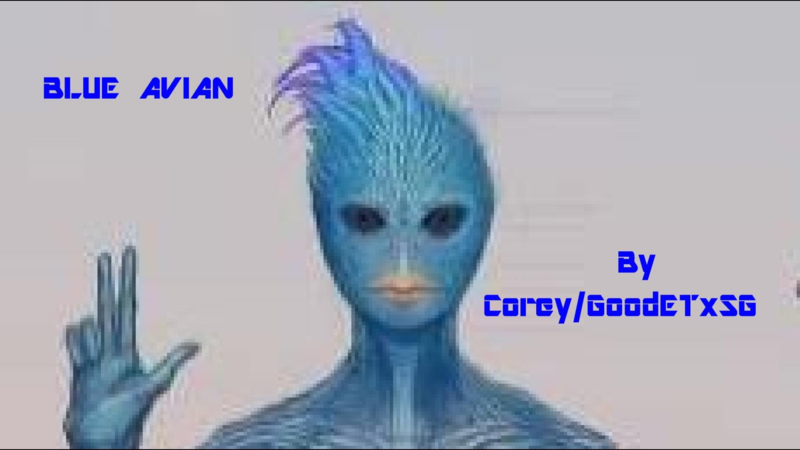 immediately made a connection to Blue—Corey Goode’s military whistleblower testimony of the Blue Avian ETs. According to Goode, the message from these ETs is that we all need to focus on being of service to each other, to be loving and kind. Heartwarming Pope Francis talk, but it’s always felt like another attempt to pacify the questioners. 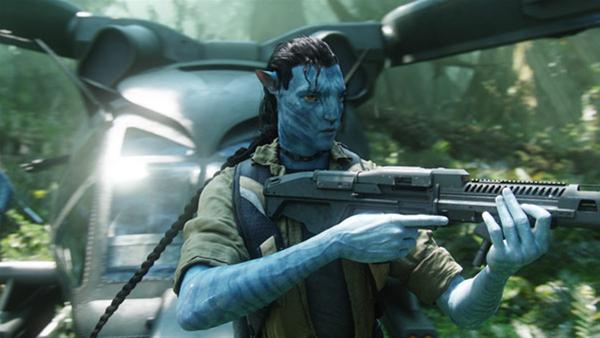 James Cameron gave us a dose of blue Avatar goodness framed in militaristic violence. The color blue is getting downright familiar. Interestingly, the color blue is part of this quilt. Apparently, our ability to perceive the color blue evolved in recent human history. In 1858, the scholar, William Gladstone, became intrigued at the lack of reference in ancient writings to the color blue. His research on this led other scholars to explore when and how we came to see blue. Is color part of mind control? We are certainly taught to see colors—ask any parent. Colors are magic. Next I pulled the quilt patch of weather. As a former resident of Phoenix, Arizona, gazing at the ever increasing art form of geo-engineering and Chemtrails across the sky is my familiar. Even in DC Chemtrails are evident on clear days, and one must wonder about how many trails are hidden on cloudy days. 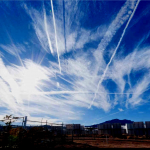 Chemtrails are intimately tied to how we experience weather. How our planet’s weather is being manipulated, every day. Some hot spots more than others. We perceive the sky as blue. White Chemtrails against a blue sky. We perceive the universe through the computerized colorized lens of NASA. These pieces of mind quilt spawned a question—a word play magic question. 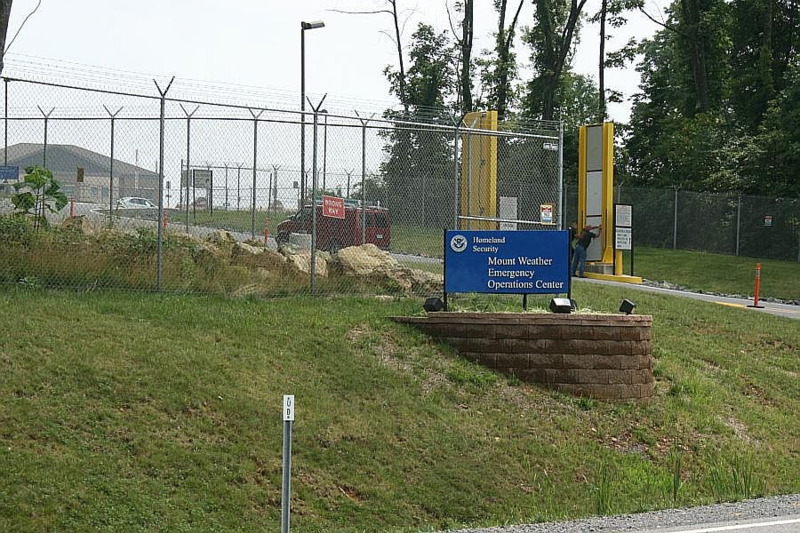 Is Mount Weather the home of our nation’s weather modification program? I don’t know if it is, but what brilliance to house a program on a mountain of the same name. This is the type of occult craziness that is becoming a familiar experience. Weather modification on Mount Weather. Center. Why did it fold? Tipper wasn’t alone in her advocacy of parental guidance for music. 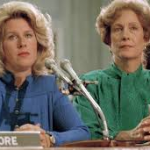 Four powerful Washington women were in her group and together they prompted a Senate hearing. And then silence. What happened? Was it because Tipper divulged the existence of the occult puppet masters? Magicians with dancing color and sound wheels. No wonder she was shut down and shut up. 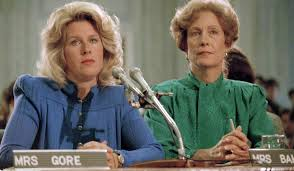 Is it a coincidence her former husband Al Gore went on to become the Climate Change Agent? Weatherman? More pieces of the Mount Weather quilt began to merge with the addition of Al Gore—his weather myth making, money off cap and trade, spreading terrifying images to influence our minds. But the most interesting link came from a friend’s photo of Al Gore. When Al came through Phoenix on his Inconvenient Truth tour, a friend of mine went to hear him. Afterwards she had her photo taken with Al and a couple of his staff members. She stood in the middle smiling. She didn’t smile when she saw the photo. Something was very off about it. In her photo, Al Gore and his staff were all blue—their clothing and bodies. Blue like the Las Vegas Blue Man group. My friend standing in the middle, smiling, was a normal color. I remember looking at her photo with fascination. Asking myself—what am I seeing? Now, years later I wonder if I was seeing the mind quilt that is forming around Blue Avians, weather modification, secret mountains, engineered disasters, climate change, mind control and NASA color photos. Is it Goode for us, the Exoconscious? insinuating we blame ourselves when we don’t take the good ETs guidance—shame on us. Shucks, we should have listened. But to whom? Who is speaking? Probably the military magicians of violence. 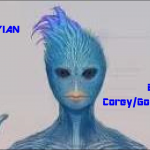 Sorry, Corey, mind engineering a brilliant blue race doesn’t work in Exoconsciousness. But it was a blockbuster for Hollywood. As ET experiencers we’ve seen lots of races come and go. Some we recognize. Some we do not. The bottom line is that we humans are responsible. Responsible for what we do and what we allow our governments to do. We are aware of magic, mind control, and the ET Presence. The message of love, service, and kindness are fine, but historically that message has been another way to divert awareness and advocacy. Remain logical, level-headed and least disruptive to current world institutions. Keep the powerful intact. Another magic trick exposed by Exoconsciousness. Exoconscious humans develop fine-tuned nonlinear thinking. We see patterns. We link facts, symbols and myths. We dig deep and pull weeds. And we take responsibility for what we see, for what we know. We care more for humans, Planet Earth, and our cosmos than we do for magic making world institutions of religion, universities, government, science, economics and media. This quilt I share may exist in my mind. And the questions, images and connections may also exist in your mind. It’s subjectivity. This nonlinear quilt ties disparate pieces into a gestalt, which sometimes is truth. A Convenient Exoconscious Truth.